Without using debit card or ATM to withdraw money, the bank is still in danger of being caught by fraudsters! Because, your mobile number is tied to all your bank accounts. And with this registered mobile number, you can grab all the data by deceivers. 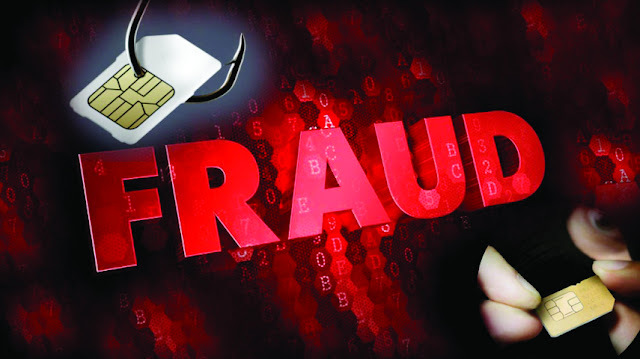 The deceiver can send a SIM card number of 20 numbers by the name of the SIM upgrade. You can then ask to send your number and say '1' to confirm the SMS. Already, 'You will get your new SIM card within 24 hours', it may also be said. Be careful, you can deactivate your SIM card by pressing '1' with the instructions. After that, all the information associated with your SIM will be sent to the deceiver. Say 'SIM swap' fraud. After that, the bank accounts associated with that number will be generated, there will be an opportunity to generate a One Time Password (OTP) and to get rid of the money from your bank. You will not get any illegal alerts for this as your SIM Deactivates are available. Never disclose any information to your bank account to anyone else. Sometimes the temptation of big offers is shown. Do not give your mobile number on any website, such as lucrative offers. Check the statement of your own bank account in the middle. Do not share any SMS or OTP related information about your account. In the branch that has started your bank account, start the 'Instant Alert' service with the account. This allows you to know all the information about your account. If someone asks to block SIM upgrades or SIM, then disconnect the call with no arguments. Many times the people of the fraud chain said that they have called from the mobile care center customer care. You do not care if you say it. If you suspect this, immediately contact the mobile service providers.